Quite when Mothering Sunday became Mother&apos;s Day is not charted but it was probably sometime in the 20th century when enterprising card manufacturers realised that they could exploit the occasion. As we rush to buy cards, flowers and chocolates we are probably unaware that Mother&apos;s Day is the fourth Sunday in Lent and the reason why it is not a fixed date. Historically it was the one day of the year when older children in domestic service got the Sunday off to visit their mother and go to church. 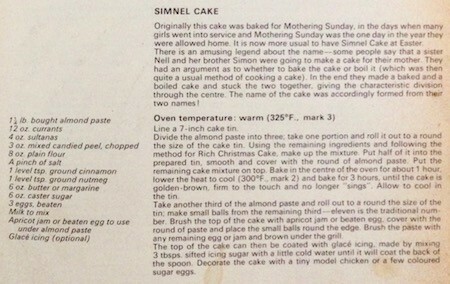 Some were allowed to bake a cake to take home and it may suprise some to learn that the cake we associate most with Easter - the Simnel cake - was the one that was baked. Where the austere regime of Lent was followed, this was one day when it could be relaxed and the family could tuck into roast loin of veal. The loin would be boined and stuffed with orange, apple, onion and breadcrumbs. Once rolled it would be covered in bacon and glazed with orange slices. Although the drop in consumption of veal on welfare grounds has reversed a bit in recent years, it is not a dish that would frequent many tables these day. Stuffed roast bacon was an alternative and that would probably have included herbs, onion and breadcrumbs. Desserts would often be fig pudding or cheesecake. 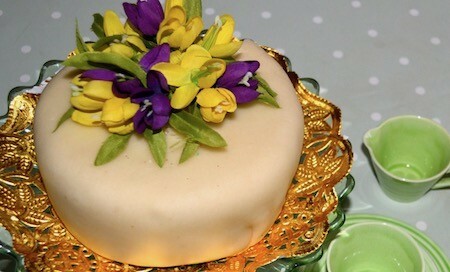 The cheesecake would be baked using curd cheese mixed with raisins and mixed peel, and instead of the biscuit crumb base we are used to, a pastry case would be used. So much for lunch: What can you give your vintage-loving mother as a present ? For keen bakers, there are any number of things on The Vintage Kitchen Store website that would enhance her collection of utensils, but something pretty is what is called for. 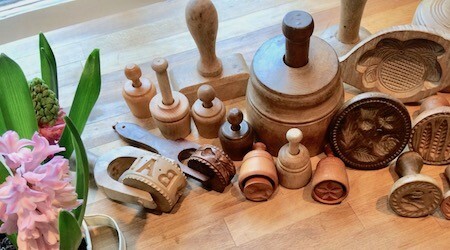 A firm favourite is a wooden butter stamp, lovingly carved ﻿by hand and designed to imprint on butter. There are lots to choose from, from swans to sheaves of wheat to pineapples. If your mother&apos;s name is Rachel, Rebecca or even Rowena then she can have a stamp with her initial on. These unique works of art can also be used to stamp out cookies, as well. 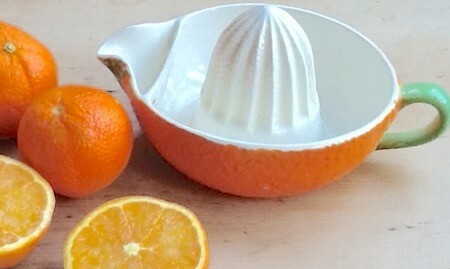 For those mothers who love pottery then how about a Crown Devon orange reamer for freshly squeezed orange juice. 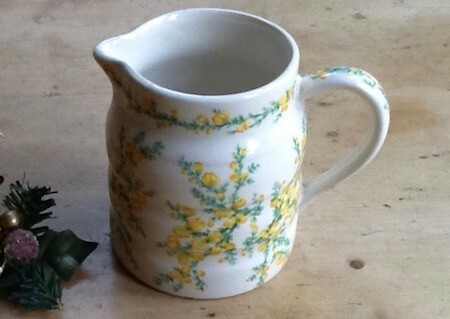 Alternatively a pretty ironstone hooped jug decorated with delicate branches of spring-flowering forsythia. Ideal for milk or flowers. 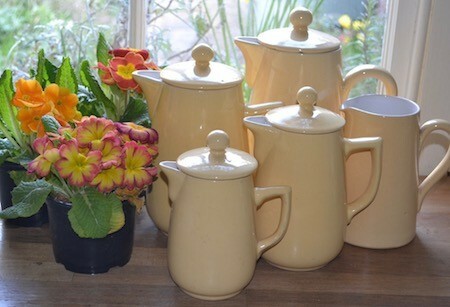 If spring is really on the way then these gorgeous pastel primrose yellow Lovatts stoneware coffee pots could grace any kitchen table. And if your mother is a baker and likes it fab and funky, then look no further than this Taunton Vale Daisy rolling pin. Of course, you may just want to drop a few hints to your own offspring !